Ideas change the world, which is why we are always eager to share our ideas, experiences and expertise with you. Our books are designed to enable your organization to thrive in even the most competitive landscapes. It’s time to starting reading! Today’s business environment is rapidly changing, requiring organizations to undergo frequent transformations to remain competitive and efficient. However, major change initiatives are risky and many fail. The Art and Science of Transformation provides readers with a robust understanding of the importance of transformation. It explains what it means in practice, what the risks are, and how to implement a successful transformation initiative that delivers the desired results. Using an “Art and Science of Transformation®” framework, in which “art” comprises the intangible or intuitive attributes and “science” consists of formal project management techniques and tools, the book provides a holistic understanding of organizational transformation, along with the key strategic and operational performance implications. Grounded in the evidence of what actually works, this book offers a user-friendly, practical guide that can be applied to transformation in any organizational context. Harold Schroeder is President and CEO of Schroeder & Schroeder Inc. He holds an MBA from the York University and an MSc from the University of Toronto. He is a Fellow Certified Management Consultant (FCMC), a Project Management Professional (PMP), a Certified Health Executive (CHE), and a Certified Human Resources Professional (CHRP). Harold has served a broad range of clients throughout North America and internationally, while consulting in Europe over a 4 year period. With over thirty years of experience consulting to Boards, Executives, and senior management in both public and private sectors, he is a knowledgeable strategic program advisor, project manager, and management consultant. His long and successful career as a management consultant and as a project manager of large and complex projects is proven by his successful track record involving the development and implementation of enterprise-wide strategies, along with large-scale, enterprise-wide change transformation projects. “Harold Schroeder and I met a few years back and, even though I have not had the opportunity to work with Harold, I have always valued his knowledge regarding strategic planning and change management. Having published many valuable white papers, Harold recently published a book tilted ‘The Art and Science of Transformation’, which presents the reader with a great blueprint for becoming and sustaining competitive advantage. What stood out for me was the value of people, both internal talent and customers, as the critical component to any successful transformation. Any of us can learn the process for transformation, but without a clear understanding of the how to work with people to achieve transformation, the processes fall flat. ‘The Art and Science of Transformation’ is a must read for anyone accountable for achieving competitive advantage. 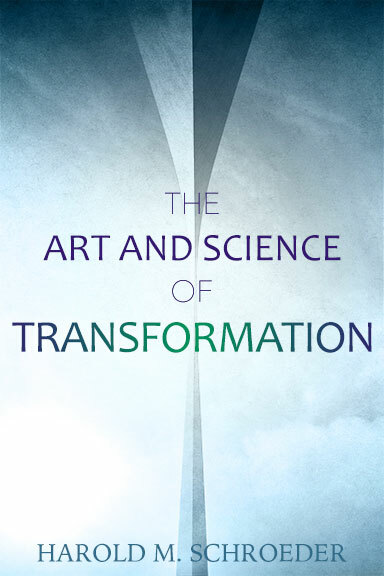 “In this insightful book – The Art & Science of Transformation – Harold Schroeder has elegantly mapped out and defined the requisite skills and processes for mastering the art & science of transformation. “My copy of The Art and Science of Transformation arrived this week, and folks, Harold Schroeder has nailed it with this book In this new business paradigm where ‘transformation’ is undeniable, you’ll want this guide to assist you. “Harold Schroeder offers thought-provoking ideas on how an organization can ensure its Business Transformation initiatives deliver strategic and economic value. His research shows transformations are most successful when they clearly meet human needs and add social value. “The Art & Science of Transformation” presents thorough research for providing for an even-balanced treatment of the intuitive/emotional (The Art) and the logical/rational (The Science) aspects of managing transformation projects. An excellent read for executives and project leaders/managers alike … could serve as a course book or practical reference manual for change. In today’s business environment, organizations of all types must regularly transform to remain competitive and efficient. 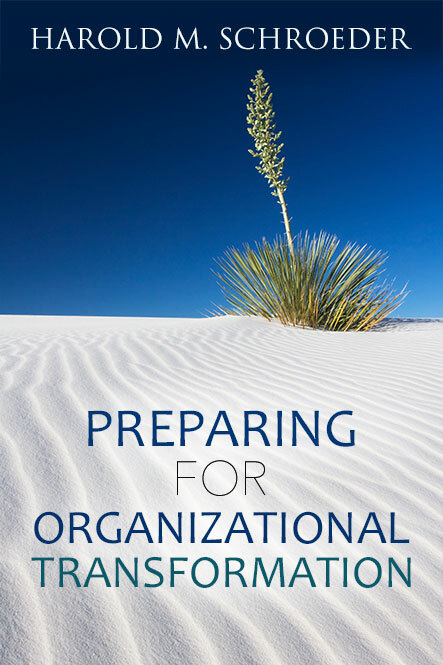 The costs and risks of organizational transformation can be very high and yet the importance of advanced preparation for a major initiative is often neglected. This book provides practical guidance to organizations on how to prepare for organizational transformations that really deliver the intended business results. The approach uses an “Art and Science of Transformation®” framework in which the “science” consists of formal project management techniques and tools, and the “art” comprises the more intangible or intuitive skills and attributes that are essential for managing the people-related aspects of transformation. The crucial and interdependent roles of the Project Manager and the Executive Sponsor, the two key players in any transformation initiative, are discussed. Examples of practical tools for use in evaluating and improving an organization’s readiness to undergo a successful transformation are provided. A must read for any organization preparing for a major transformation in which strategic and operational business goals must be achieved. “I had previously read your first book “The Art and Science of Transformation” and had found that it aligned very well with my beliefs and experiences over many years … that almost anything worth doing or accomplishing requires acumen in both ‘art’ and ’science’, especially in medical care organizational change and transformation – whether at a team level, business unit, department, or an entire organization … and in health care, at even the entire delivery system itself, whether provincially or nationally. Your book “Preparing for Organizational Transformation” was very timely. I was in the midst of working with a client organization that felt like they were under siege. Many external pressures were forcing the organization to completely re-create themselves. To say that their “change muscle was weak” would have been an understatement. Several of the frameworks presented in the book were extremely useful with individuals, teams, staff, volunteers, and even board members in helping to provide a context for what they were going through. Most especially, the following two items were useful in my work with this organization: 1. Stages of Employee-Level Cultural Transformation, and 2. Cultural Change-Shaping Levers. After introducing the executive and management team to the Art and Science of Transformation Framework –and identifying and assigning the related roles – both the shared and individual goals, objectives, metrics, and measurable success factors were agreed upon. Upon the completion of the consulting contract, both the client organization and I agreed that your book, “Preparing for Organizational Transformation” had become an invaluable resource, and that it was practical, easy to understand … and really drove home that “who they were as leaders of such a significant change” was as important as the tactical skills and management competencies they had. To survive in today’s rapidly changing business environment, organizations of all types must carry out regular transformations. Evolving markets, new business models, fierce competition and tight budgets are just a few of the many factors influencing the need for major change initiatives. In this context, several key activities are emerging as important strategic functions that are driving successful transformation: collaboration, social media, operational efficiency, outsourcing, risk management, and project management. 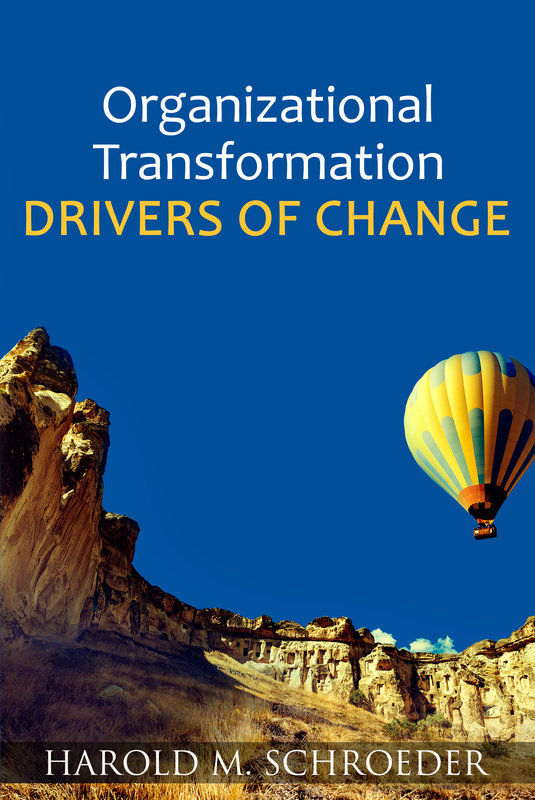 This book explores the latest developments in these drivers of change and sets out best practice guidance on how to achieve the greatest benefits from their use while avoiding the most common pitfalls, based on a proven Art and Science of Transformation® model. Illustrated with facts, figures and real case studies throughout, and full of practical tips that are relevant to all sectors, the book is essential reading for organizational leaders, managers, and specialists involved in transforming each of these activities to achieve high levels of business performance. Mr. Harold Schroeder is a renowned strategic program adviser, management consultant and project manager. He has more than three decades of experience working with Boards, Executives and senior management in the private, public and not-for-profit sectors. Having worked for many years in politically challenging and complex environments with demanding timelines and deliverables, Mr. Schroeder is recognized by clients for his superior relationship-management, problem-solving, communication and negotiation skills. He is experienced in also managing large and complex projects in a broad range of industries and has built a strong reputation for building organizational capacity, developing staff, achieving accountability, and delivering on results. “I have read Organization Change – Drivers of Change and found it to be very much on target in identifying and explaining the trends in both cultural and competitive factors driving change and the resulting need for new business models. In addition, Harold does an excellent job in covering key opportunities i.e. strategies that companies should embrace such as collaboration, lean, social media, outsourcing, risk management and project management. Today’s business environment is rapidly changing, requiring organizations in all industries and sectors to undergo frequent transformations in order to remain competitive and efficient. Within organizations, a number of functional areas can be identified that are key drivers or enablers of transformation: major change initiatives either originate in these areas, or ongoing developments in them are crucial to support effective transformation in the continually evolving business environment. This book identifies and discusses five key functional domains that have become integral to effective transformation in many organizational contexts, namely: Marketing and Sales, Human Resource Management, Information Technology Management, Information Management, and Procurement and Contract Management. Recently published research and data, as well as first-hand consulting experience, are used to highlight the main recent developments in each of these areas, and to identify the issues and difficulties that organizations often encounter when transforming each of these functions. The book demonstrates how an “Art and Science of Transformation”(r) approach can be used to successfully implement best practice in each area, and provides a wealth of practical tips and guidance for ensuring that each functional domain contributes to ongoing organizational effectiveness and business growth. 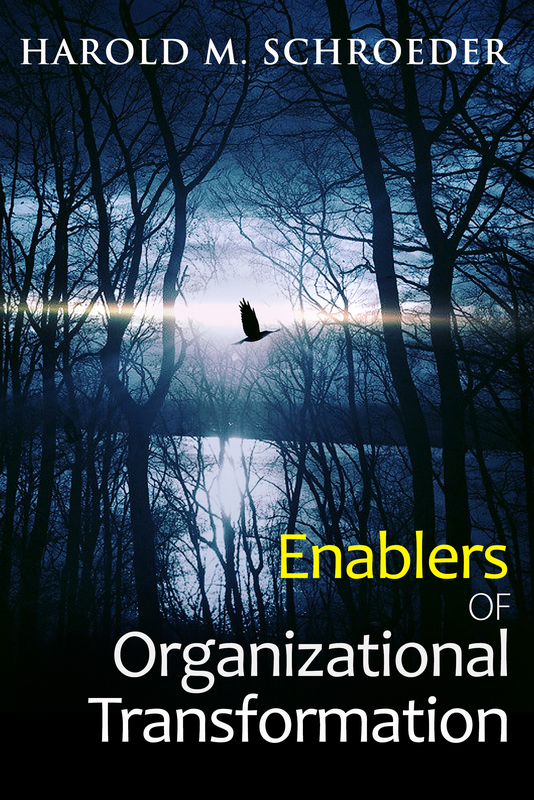 Enablers of Organizational Transformation, by Harold M. Schroeder, is packed solid with information and data to back up the statements it claims. The fourth in a series of books on the process of organizational transformation, Enablersdigs deeper into his art and science based approach to any transformation; the importance of employing both soft skills and strategic tools to achieve success. The book covers five key areas in depth: the ability to adapt quickly in an evolving world of digital marketing and sales; using human resources strategically as a key differentiator in the marketplace; improving overall effectiveness by aligning systems, process and culture to a rapidly changing technology landscape; utilizing information management to quickly access, analyse and improve performance; and implementing contract lifecycle management to drive compliance and gain efficiencies. Being part of a government organization in the midst of a cultural transformation myself, the enablers highlighted struck a chord for being the very areas we struggle with the most. Of no surprise, human resources and technology are key that can make or break any transformation. Strategic human resource decisions ensure the right people are in the right positions, supported with the right technology to achieve the long-term goals of the organization. Added to that, the culture of an organization must be willing to embracing advancements in technology to remain competitive. An organization’s culture must also commit to realign procurement and contract management, enabled through contract lifecycle management, to effectively navigate legislative, improve efficiencies and avoid associated risks. The assertion that information management is not just a good business practice but an essential element of transformation really resonated. This was probably the most interesting enabler highlighted for me. Organizations struggle to achieve strong information management (IM) practices, concentrating on compliance as key driver. Reframing IM as a key transformation enabler, and ultimately a component to achieve peak performance, shed a new light on its importance and strategic benefit. Once again, corporate culture and organizational systems to support effective records management and electronic content management must align to achieve any kind of strategic benefit. Enablers of Organizational Transformation is not a light read. There is tremendous information to absorb and thoughtful consideration given to how all enablers work holistically to achieve results. Take the time to consider Schroeder’s approach to transformation. I guarantee you will discover valuable insight, applicable to your organization’s transformative journey. “I enjoyed the book and was pleasantly surprised at what a quick and easy read it was. I found the chapter on Managing People of particular interest – i.e. the trending shift from Tactical HR to Strategic HR approaches. The advantages and challenges are all laid out nicely, from the key characteristics and competencies to the development of the People Strategy. I found the book to be enlightening, engaging and stimulating. As a lifelong learner who has a Doctorate in Business with a major in Organizational Leadership, I was impressed at how aligned Mr. Schroeder’s and my thinking were. I found the section on Managing People to be the most relevant to my work at the Nova Scotia Health Authority, where engaging others to achieve our goals is key. I have always believed that patient outcomes are best achieved when leaders work collaboratively to garner and leverage talent. At the NSHA (over 24,000 employees) my colleague and I host Leadership Lunch and Learn sessions the first Wednesday of every month. This month we are discussing change management and I am going to bring the book with me as a relevant reference for leaders to read. Thank you Mr. Schroeder for your insights and perspectives. It was a real pleasure to read your book and I look forward to your 5th book.